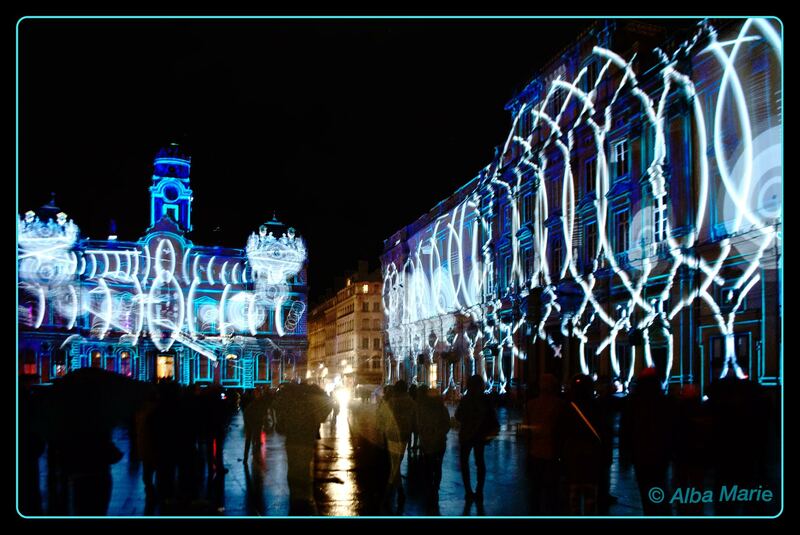 For four days every December Lyon gets illuminated! Back in the Middle Ages, there was a terrible plague attacking Europe and so the residents of Lyon prayed to the Vigrin Mary to spare them–and it worked. To thank her, the residents installed a statue of Mary on the hill of Fourvière 8 September 1852, but due to flooding, the ceremony was cancelled and later postponed for the 8 December. Cold winds and bad weather drove residents to retreat into their homes, lighting candles for light and warmth. 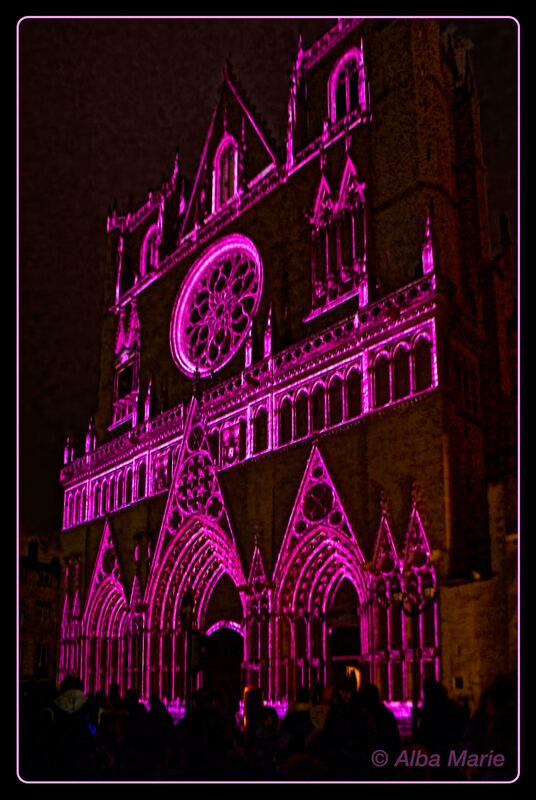 To this day, the Fête des Lumières is still held surrounding the 8th of December. Over a hundred illuminations (light shows lasting from a couple seconds to a couple of minutes, repeated throughout the festival) light up the facades of the city. There is a festival in the streets; venders selling hot wine, crepes and gaufres (waffles usually covered in Nutella) are on every corner. Music rings out from the streets, bars, and illumination shows. People still put candles in the window to show their gratitude and solidarity. Parties tumble out of houses and into the streets–even nearby villages hold their own mini versions of the festival. 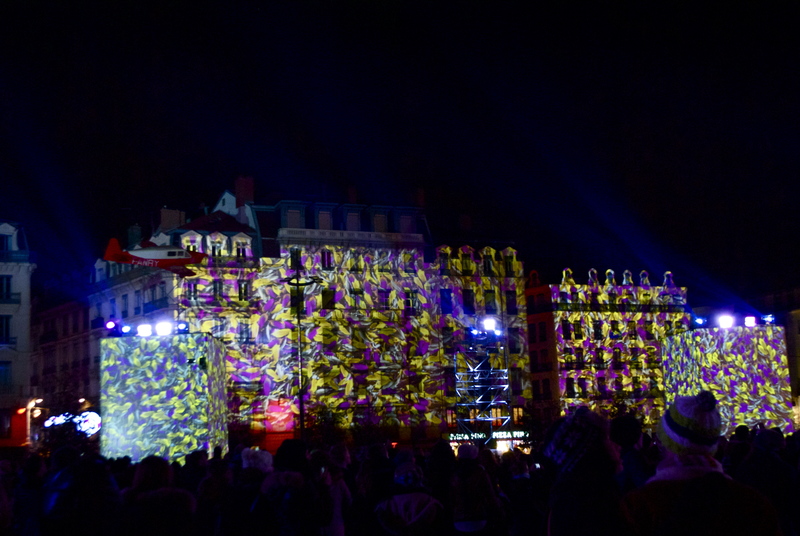 Light shows dance across facades big and small; hardly any surface is left untouched. It is certainly worth a visit to see this amazing spectacle in person!